The end of 2014 was an exciting time for DZP! 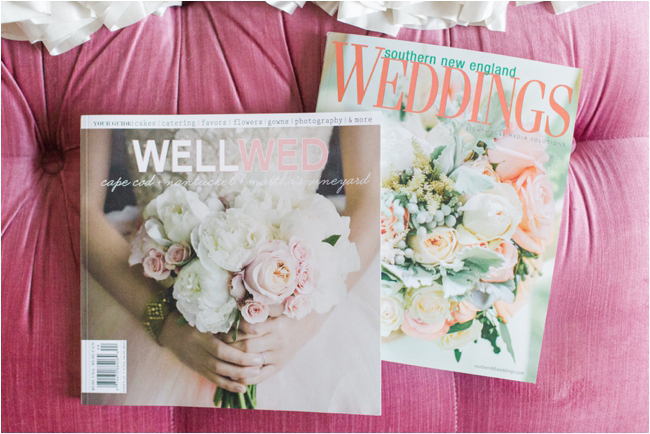 Two print publications were released that featured lovely DZP couples... a dream come true for me and an honor for my clients whose beautiful weddings were highlighted! I was delighted that Southern New England Weddings loved Mark and Marlo's Newport wedding as much as I did! I couldn't imagine a better couple to share in the fun of my first full feature wedding in print!